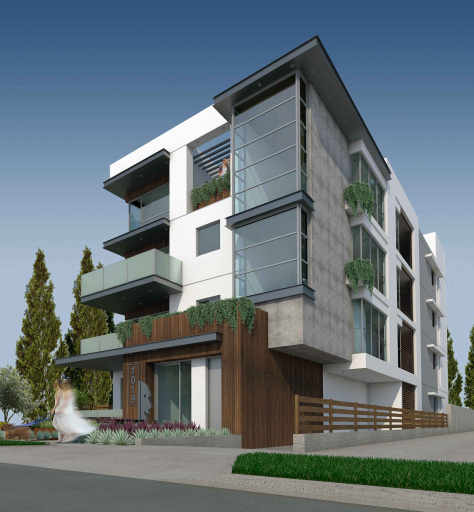 West Hollywood’s Planning Commission gave unanimous approval Thursday night to two projects it had previously sent back for revisions. 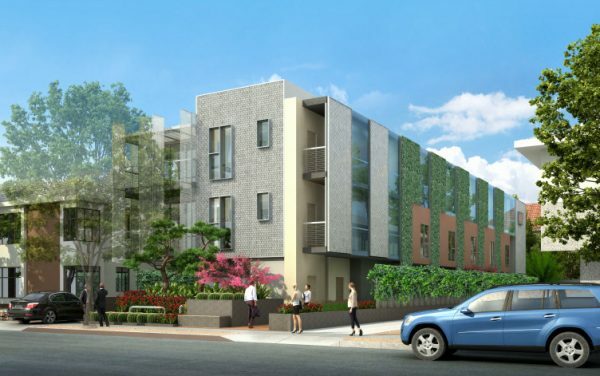 With approval of these projects on Orange Grove Avenue and Hayworth Avenue, the city loses six housing units through demolition of existing buildings, but will get 21 new units when the projects are completed, for an overall net gain of 15 units. In January, the Commission considered a four-story, nine-unit apartment building at 1019 Orange Grove Ave., just north of Romaine Street. The project with underground parking and one unit set for a very-low income resident will replace a one-story duplex. The commissioners sent the project back because city regulations require at least 50% of the width of the ground-floor front façade be made up of habitable space (i.e., an apartment) and this building had a gym and elevator in that area. They also had concerns about whether the design, by Van Nuys-based GA Engineering, met “exemplary” status, as well as some concerns about the landscaping plans. After the vote, property owner Ira Leibowitz told WEHOville he is excited to get the approval and anxious to build it. In November, the Commission reviewed a proposed three-story, 12-unit apartment building at 1223 Hayworth Ave., just north of Norton Avenue. The project with underground parking and one unit set aside for a low-income resident would replace a 1940s era two-story, four-unit apartment building and the detached garage behind it. The property is owned by developer Jason Jaboury though his Hayworth Homes LLC. The commissioners sent the project back because they believed the architecture was merely average, not “exemplary” as Gwynne Pugh, the city’s acting urban designer, had called Santa Monica-based architect Ralph Mechur’s design. They also had concerns about plans for creeping vines to grow up metal mesh latticework on each unit’s balcony, questioning if such a vine could actually grow out of a one-foot deep planter box on each balcony. Mechur revised his plans to add mesh screen panels over the front and sides of the building, thereby transforming what was originally just a decorative feature into an architectural feature. Mechur also added several two-foot deep planter boxes at the base of the building to support the root system of the creeping vines that will grow up the side of the building. However, the Commission still had concerns about landscaping plans calling for water-hungry plants to be beside cacti. They suggested revising the landscaping so plants with similar watering requirements would be grouped together. I’m always happy to see additional residential units to combat the housing shortage, even ones as small as this. I still wish the city would put pressure (or require) developers to offer sufficient below-market-value homes to counteract the number of eliminated rent controlled units, even if this increases the overall size of these projects.